Everyone loves a before and after. While this one is more subtle than some, a few changes still made a big difference in this kitchen and dining space. My client was in need of a refresh but still loved many things about the current space. We ultimately decided to keep the cabinets and dining table and focus on a few other updates to make a big impact. The walls were simplified with a two tone paint. 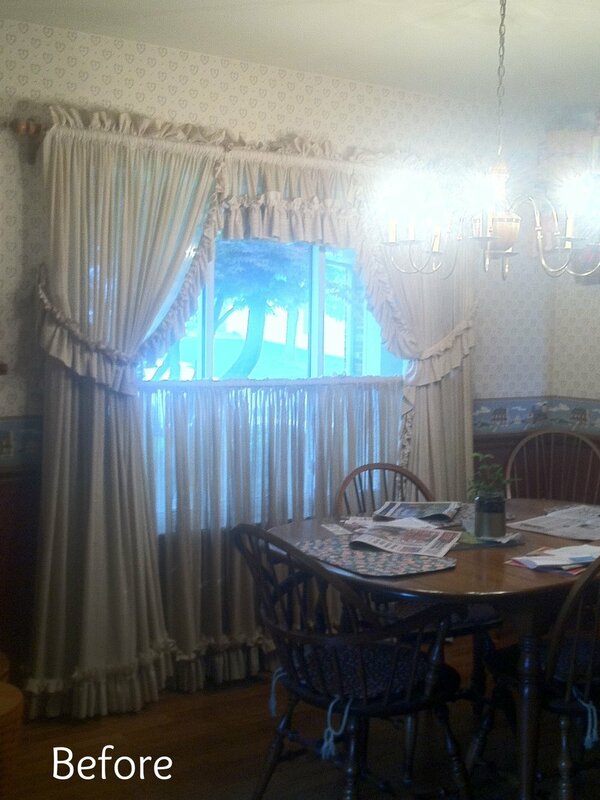 The room is now filled with more natural light since installing new hardware and draperies in the front window. In the kitchen, a gorgeous backsplash, new countertops, hardware, and slate appliances give this space new life!